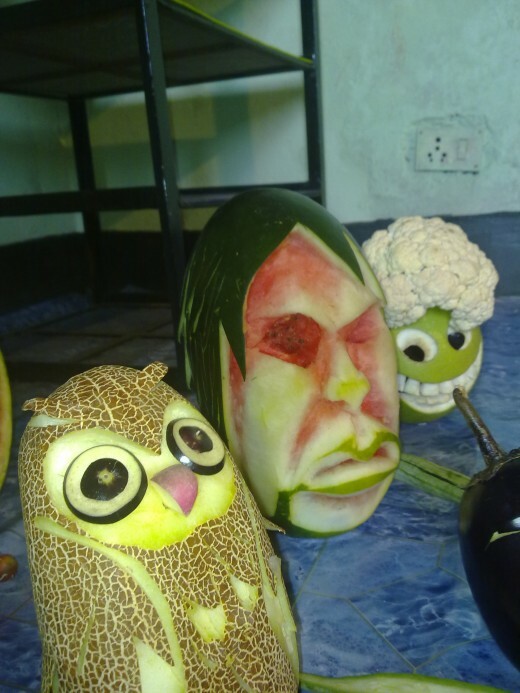 Fruit and vegetable carving is an art form, used mostly for decorations and sometimes to show artistic expression. The origins of this art form are disputed (Thailand, China and Japan are suggested). People who believe that this art form originated in China say it began in the time of the Tang Dynasty (AD 618-906) and the Sung Dynasty (AD 960-1279) in China. In Japan, fruit and vegetable carving art is called Mukimono which become popular in the Edo period, in sixteenth century, when Mukimono gained official recognition. Those who believe fruit and vegetable carving originated in Thailand say it started during the Loi Kratong festival in the 14th century. Lots of intricate decorations are used during the Loi Kratong festival. However, it was only in the mid 20th century, fruits and vegetable carving art began to grow outside Thailand. Today, this art form is popular the world over. 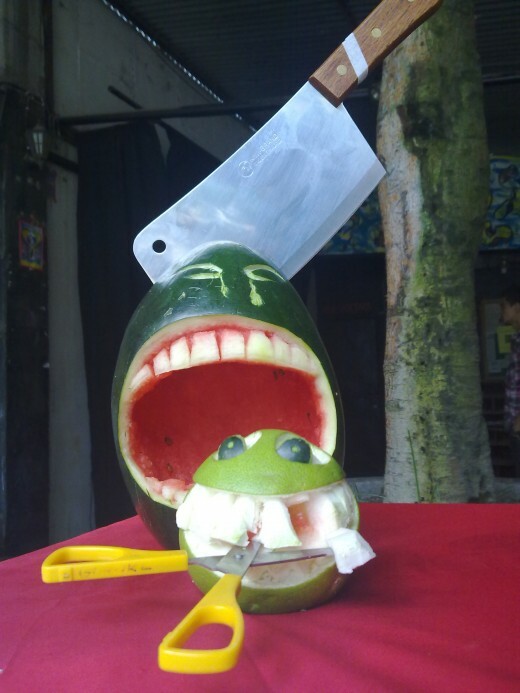 Nowhere can we see the popularity of fruit and vegetable carving as much as in Thailand. In Thailand this art form is taught in schools, and children as young as 11 years old are professionally trained. 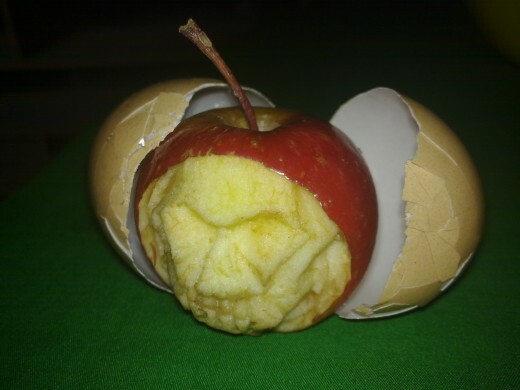 Birds, flowers, trees and people are craved in fruit and vegetables, but you never know the limit of artists’ imagination. The art is mostly used for decorations, but also sometimes to exhibit artistic impressions. 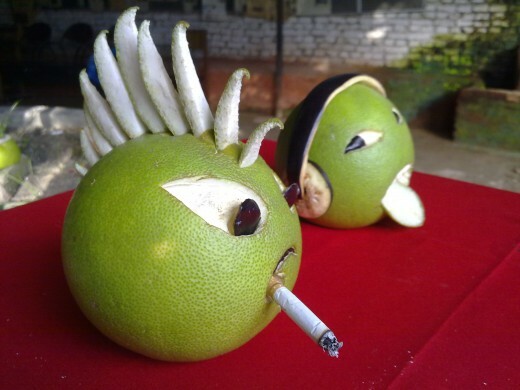 Objects used: Pomelo ( A fruit of citrus family found in Asia), lemon, eggplants, cucumber, watermelons, apple, cauliflower etc. Sajan Thapa Magar, born in April 18, 1986, received his basic education in Dharan, a city located in the eastern part of Nepal. He is a self taught artist who held a solo exhibition of his arts at Gurukul, Kathmandu from November 18 to December 7, 2010. 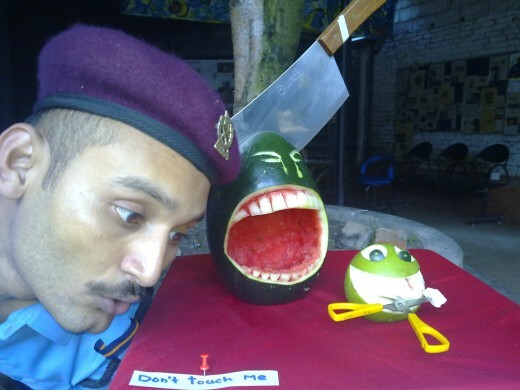 His second exhibition, titled Mukimono (Fruits and Vegetable Carving), was showcased at Gurukul, Kathmandu in September, 2011. Mr. Thapa Magar works as a theatre actor at Gurukul, one of the leading theatre companies in Nepal. 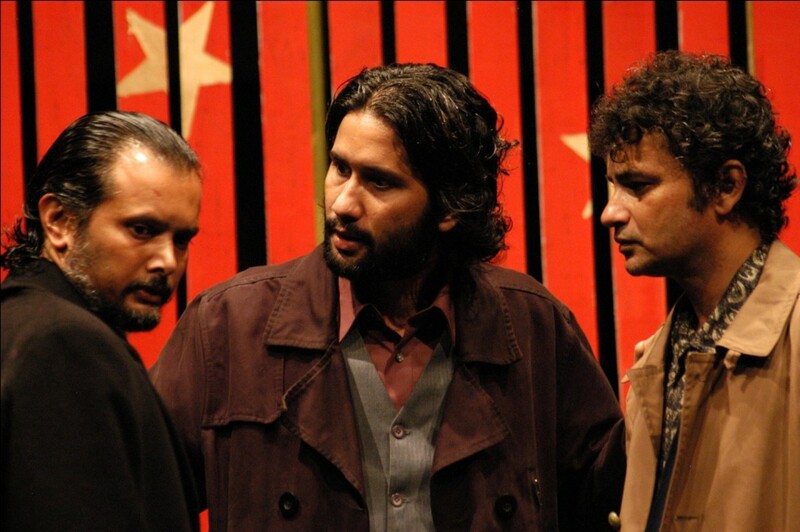 He has performed in numerous plays and is well appreciated by the theatre critics in Nepal. Besides acting he also looks after lights, props and publicity departments at Gurukul, a School of Theatre. Apart from performing plays and producing manpower for theatre, Gurukul also organizes art workshops and art exhibitions. At Gurukul, Sajan Thapa Magar got an exposure to numerous art events, which nurtured his interest in painting. In the beginning he copied other artworks, but as his creative impulse took rein over him, he marveled into his imagination. Today, he remains in touch with well established artists of Nepal like Prakash Chandwodkar, Karna Maskey and Kiran Manandhar, and has been receiving guidance and inspiration from them. After his first exhibition, he joined Kasthamandap Art Studio run by well established artists in Kathmandu, where he learned fruits and vegetable carving. This is amazingly beautiful and so very creative! I have seen this art so many times, but did not know so many details. Wonderful pictures and video. Thanks for sharing this entertaining hub! Interesting video and cool art work. Nice to find you here. Excellent HUB. Really cool topic and set up. I can tell you put in a lot of work. Incredibly creative! I love this for its sheer originality. You have presented it so well here. 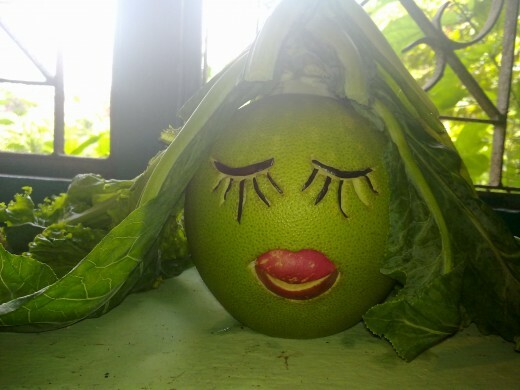 I can see so many uses for these oddbeat veggie and fruit faces, from Halloween events and showers to birthdays. Voted way up and shared. Thanks for stopping by. Have a nice day. Amazing carvings. I love this hub. Up and every button I can push. Voted up and awesome. Incredible carvings. Enjoyed and passing this on. Oh, this is just so creatively wonderful! Shared everywhere and all votes up! Your video is great, coupled with your awesome music choice. Thank you for visiting this page and sharing your views. God bless you. This is amazingly wonderful! I love when art is made in an unexpected way. 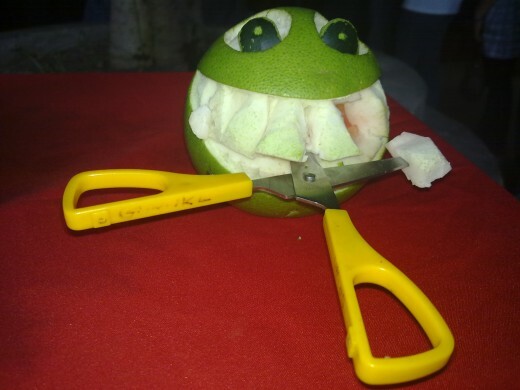 It does take talent and skill to do and the fun part is you can eat the fruit you cut away! This is just remarkable! 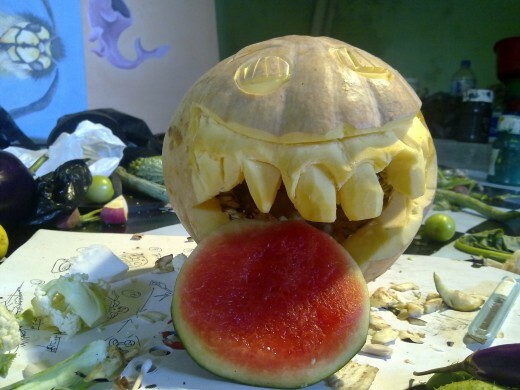 I love these ideas for carving fruits and vegetables. Terrific videos! This hub is so much fun. Voted up and completely across and will pin and share. Thank you Vinay! I loved this Vinaya, we all need some smiles and laughter and you have brought it with this. Up and sharing. Thanks for your birthday wish. Have a blessed day. I am off to try to carve some radishes--I thought I would start small! 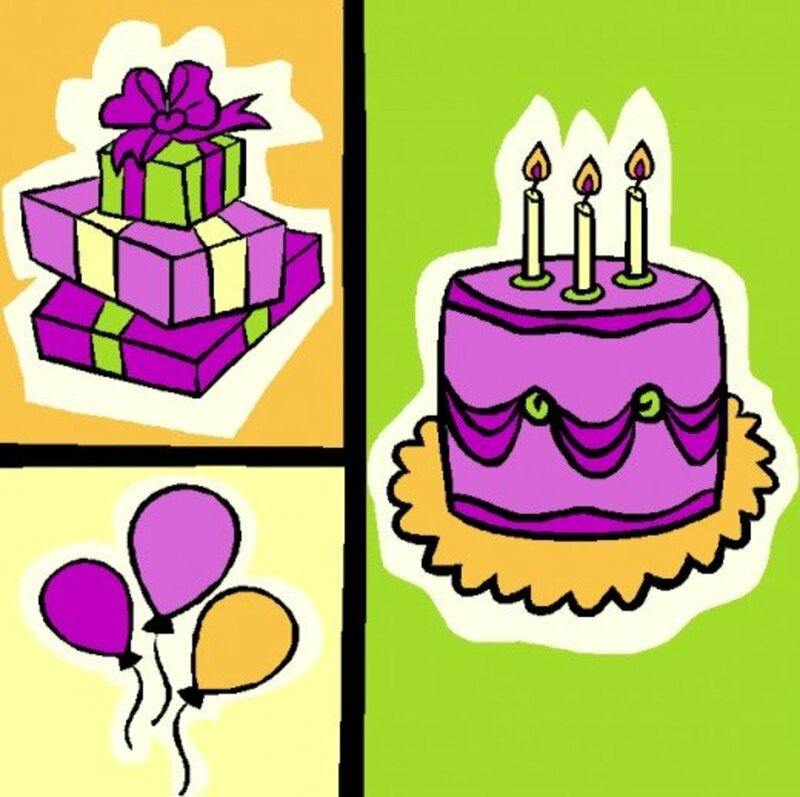 Happy Birthday Vinaya! Happy Birthday!! I came back to hear this song. 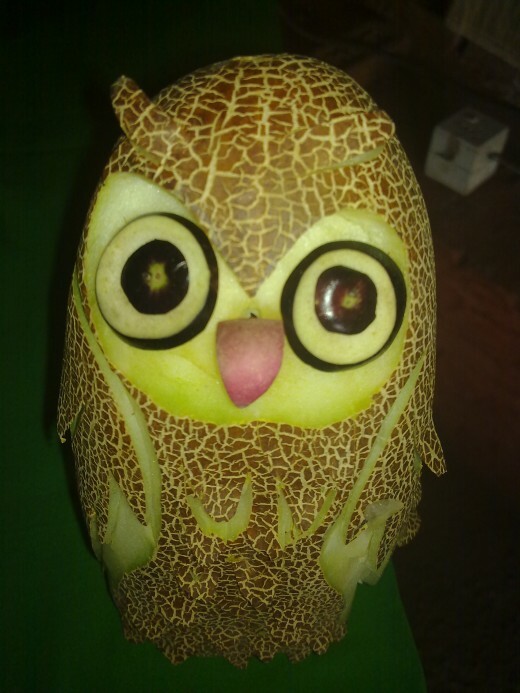 Vinaya, this is one of your best hubs on fruit and vegetable carvings. I came back to revisit and to listen to this cool song. Love the pictures as well. Voting up & sharing. 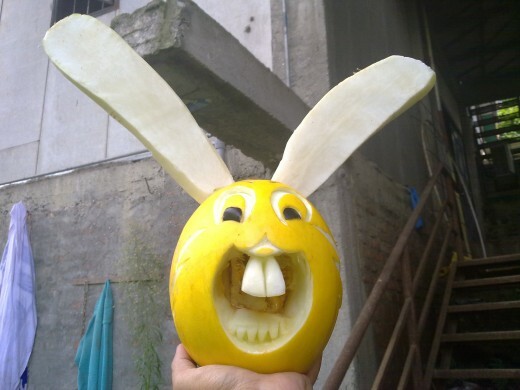 Charu, fruit and vegetable carving is very popular in east Asian countries. I was not aware of any such Art Form. World is full of Creativity I guess. Very nice hub. Thanks. 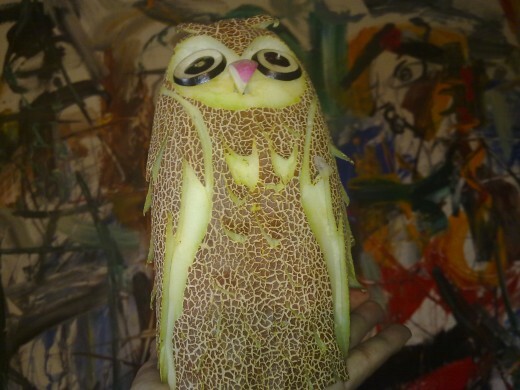 Hi acaetnna, it was fun to watch the artist carve amazing figures from fruits and vegetables. Oh what fun and how very clever. I have never tried doing this but love to watch artists in action. Thanks for your comment. 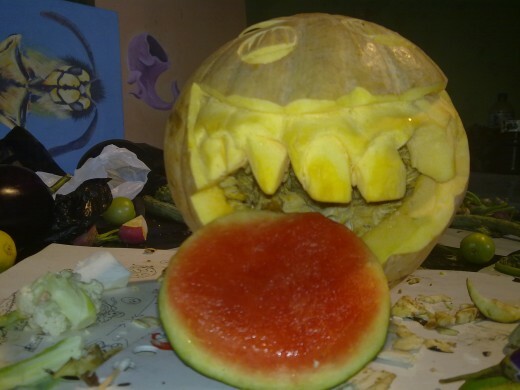 I love the music on the background and this hub on vegetable and fruit carving is fantastic! Hope everything is well with you. 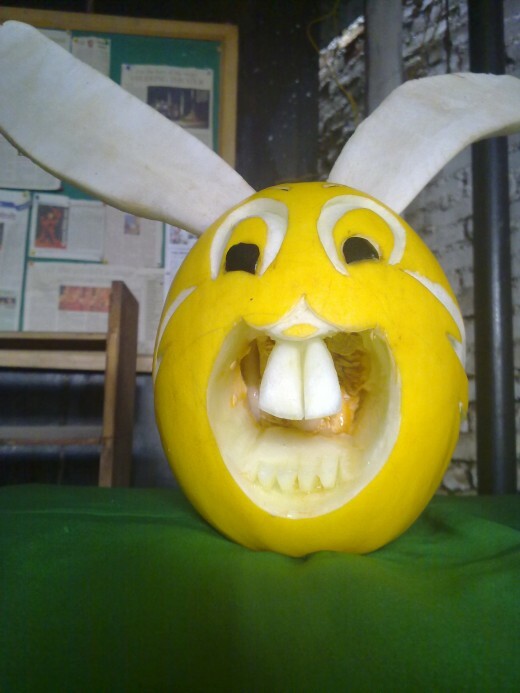 fruit and vegetable carvings are indeed awesome. Thanks for stopping by. This hub alone draws 20 percent of my hub traffic. Thanks for being here. Hi Vinaya, this is one of my favorite hubs. It is so original. The lovers look very funny. 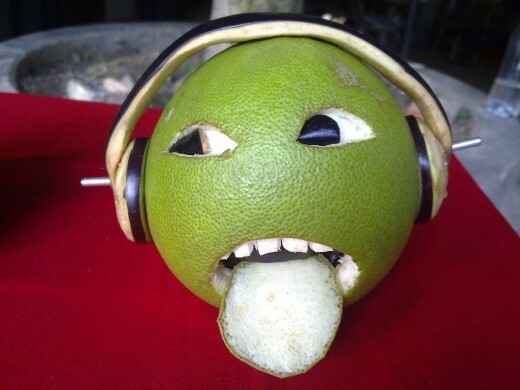 Nice background music and good history on vegetable and fruit carving. Voted up! Magar is a self taught artist. Ever since I published his works, his stature is outgrowing. A great visual treat. Lovely hub. Hats off to you for presenting Magar's artistic work beautifully. Cheers, Rema. Thanks for your visit. I appreciate your comment. WOW!! Enjoyed reading. A great artist. Voted up and shared. I did not create these artworks. However, I photographed artworks and created the video. One of your best creations. 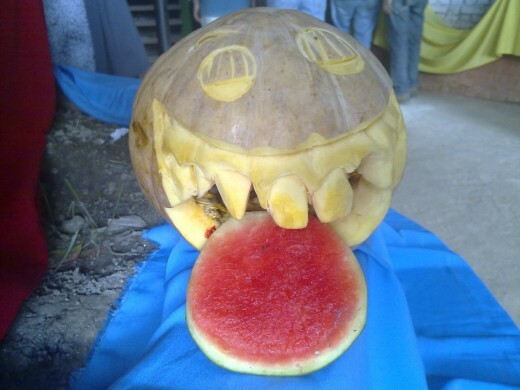 Fruit and vegetable carving is awesome. Thanks for stopping by. Wow this is completely awesome!!! Beautiful and comprehensive!! A write which I will share. Thanks for giving us such detailed history of vegetable carvings! @Christy, thanks for always complimenting my works. @DDE, thanks for your comment. Excellent Hub with such creative ideas voted up!!! Wow Vinaya I can see why you receive so many comments on this hub. What a neat topic! You offer factual information about the artist as well as explaining about each piece of art. 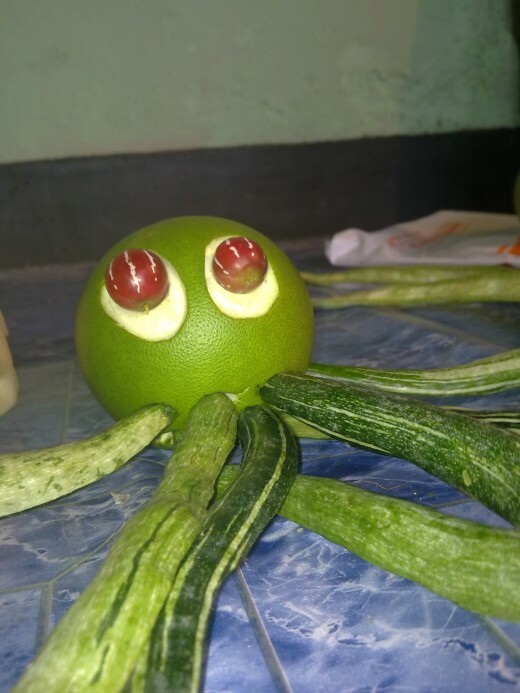 What a creative use of fruits and vegetables. I vote up and sharing too. Hello Eddy, thanks for your compliments. What a fun and clever hub Vinaya and here's to so many more to come. It felt good to talk to you last night. I was sleepy otherwise I would have stayed much longer. Great hub again! I remember i used to make one of those when i was kid but not best as these! 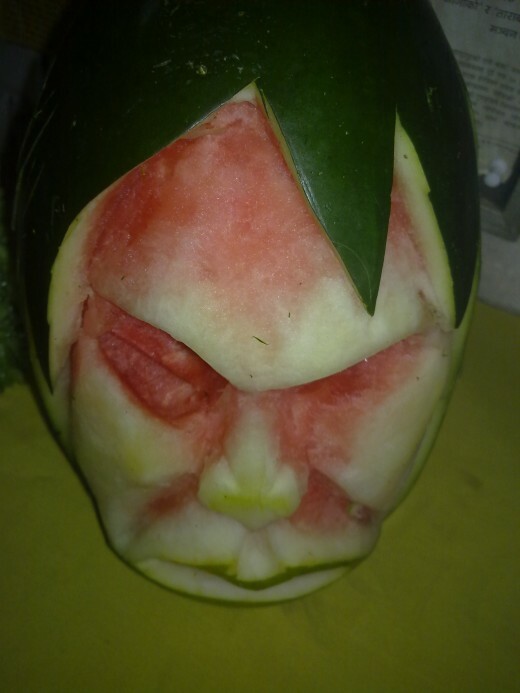 @teaches, fruit and vegetable carving is a wonderful art form.I'm always amazed by artist's creative imagination. Thanks for your comment. I really enjoyed learning about this art form. I have a friend who is a caterer. She makes beautiful designs for serving fruits and veggies. Vinaya, this was such a great hub on this art form. 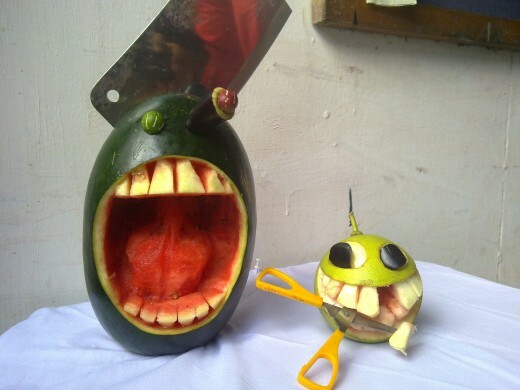 It must be fun to carve these creations from fruit. I have seen similar carvings from watermelons, but only as decorative bowls for serving. Fascinating! Eddy, thanks for stopping by. I appreciate your comment. Brilliant what an original and wonderful hub. Hello Jeannieinabottle, thank you very much. This has my vote for most interesting hub this year for the Hubbies! I am going to share this with followers! Hello Gypsy, thanks for your compliments. Voted up and awesome. Love this picture gallery. My top favorite is the owl. Thank you for sharing and passing this on. Thank you all for reading the hub, watching the video, and leaving appreciative comments. I'm honored and blessed with fellow writers like you. These are some very delicious looking pieces of art. I don't know whether to look at them or eat them. Very unique article I truly appreciate it. Voted up, beautiful, awesome, and shared. I came back to check out the video and am so glad I did. It's truly awesome and looked so professional. As always, you were very generous about giving credit to everyone else who participated in its creation. Voted up across the board and am sharing. I love looking at the ordinary objects of our daily lives and seeing how somebody can take them and create them into something so amazing. This was a spectacular piece written about a very fun topic! Thanks for sharing all of the cool pictures as well! Wow, these are amazing! 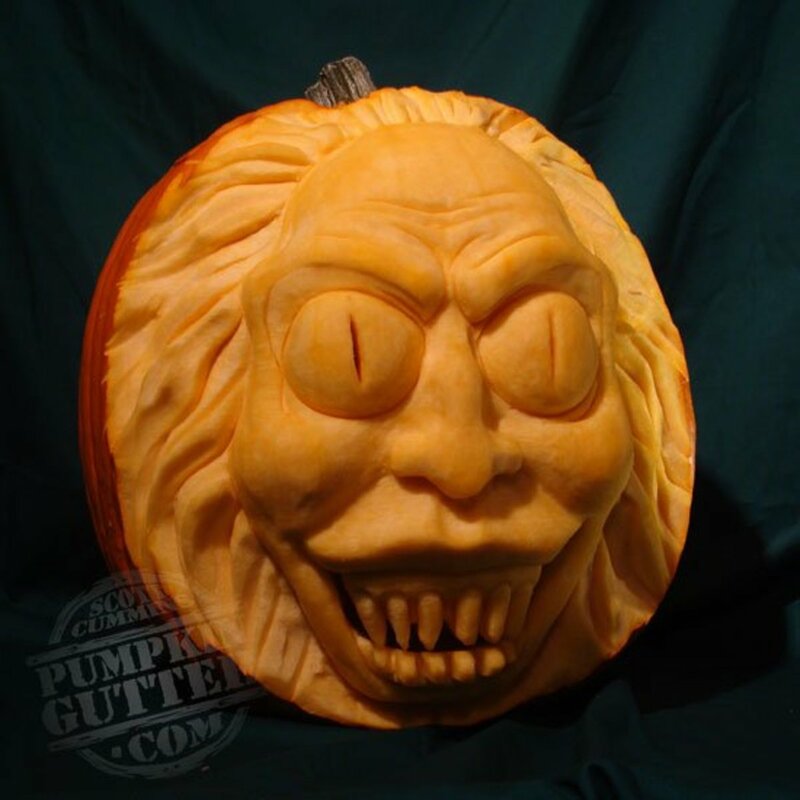 So much more interesting than our halloween pumpkins usually are. I’ll be trying a lot harder come October! Thanks for sharing this. Dear Safa, thanks for your visit. I'm honored and blessed with a writer friend like you. 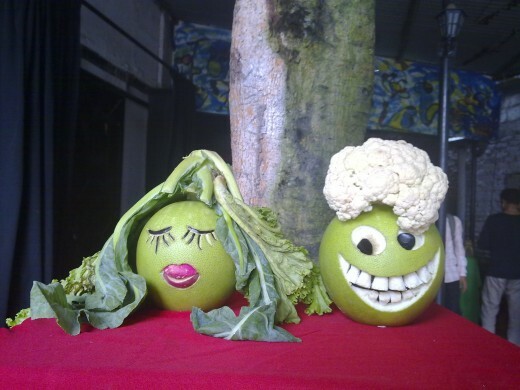 Impressive fruit and vegetable carvings! thanks for stopping by and leaving a wonderful comment. I appreciate your time on this hub. It was a great hub before. Now it is even better. thanks for always following my works. @Sunshine, thanks for appreciating my work and leaving comment here, there, everywhere. @Jools, I used Windows Movie Maker to create this video. Vinaya, this is great. What software did you use to make the video, it looks really professional. I'm going to give this a go. This is amazing talent. I'm glad I came across this hub. So cool! Happy birthday, Vinaya. Many votes on this one!!! I truly enjoyed the food carving history here, and all the imagery. It goes to show that talent can even be found in the food categories for creative artistic displays, awesome hub! voted up and definitely getting shared elsewhere. Your selfless levels of sharing here using links of others besides yourself, is also very nice of you and kind to do. Thanks for being such a cool individual, and so selfless as well as a compassionate writer. this is super cute..love this whole thing..this made me smile. @Millionaire, thanks for your comment. It is interesting to note that how expressions differ in these carvings. @Natashalh, I'm not the artist but the photographer. Thanks for stopping by. You made these carved vegetable faces? That's amazing! These are amazing. Hilarious and cute, even if they are scary! thanks foe being generous with your comments. These carvings are amazing! It must have been so much fun to see all of them in person and to be able to take these photos. Thanks for the smiles this afternoon! I love these-- I am a fan of this sort of thing anyway, and these are some of the best I have ever seen-- what a talented guy this is. Creativity has no limit. Thanks for your comment. Oh s awesome! 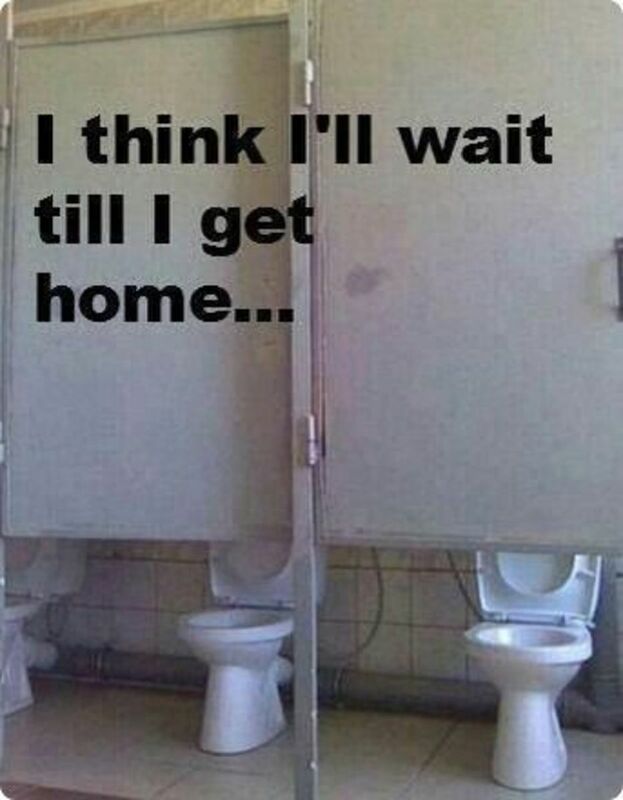 Could never think people can be this creative! Thank you all for your wonderful comment. This is a great hub! 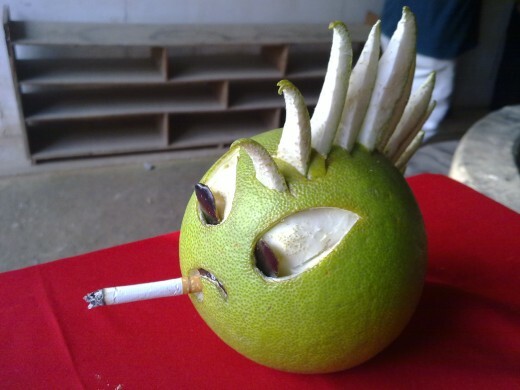 I really enjoyed looking at this fruit art. Great artist! 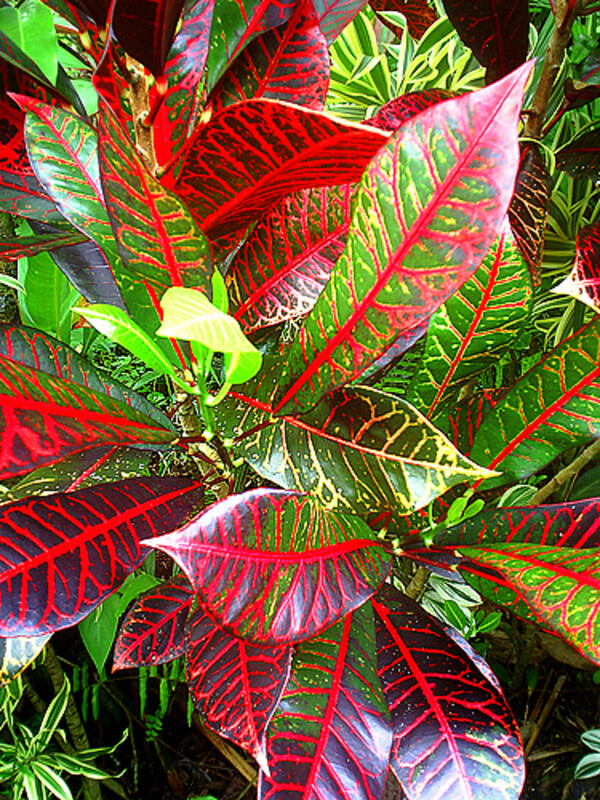 Beautiful pics voted up and shared!